My name is Debra Scuderi and I have been struggling with my weight for a while. I have suffered from multiple injuries and have had many other trainers before who have exacerbated those injuries. I used to be overweight and not happy with myself until I joined the 5 Week Weight Loss Program at Peak Performance. I started to train with my exercise physiologist, Sally, and have dropped 6 pounds in a month! I am now so much happier and confident with myself. I have already lost 6 lbs and am continuing to lose weight through healthy eating and regular exercise. I have learned so much from Peak Performance! I feel great and am very lucky to have met Sally and have her help me! 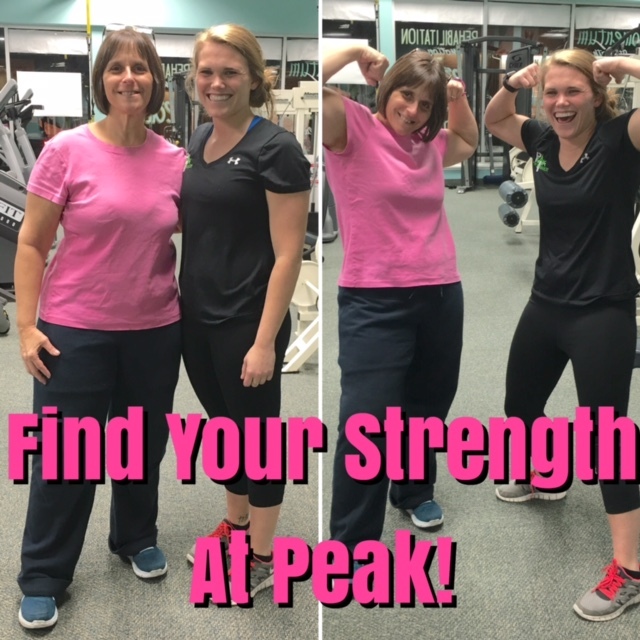 Thank you Peak Performance and Sally! !